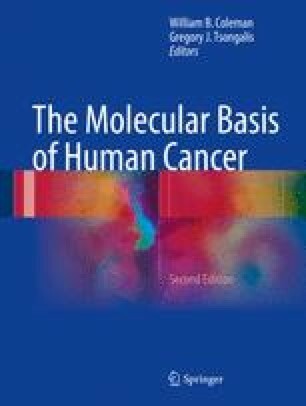 Before the biomedical community had had any understanding of the molecular mechanisms that drive tumorigenesis, the discovery of cancer chemotherapy exclusively focused on the development of novel cytotoxic compounds targeting DNA processing and cell division including DNA alkylating and cross-linking agents, antimetabolites, topoisomerase inhibitors, and anti-tubulin agents. Although these drugs can be very efficacious in killing tumor cells, serious side effects accompanied due to the lack of selectivity for tumor cells versus normal cells. The side effects, such as bone marrow suppression and gastrointestinal, cardiac, hepatic, and renal toxicities, significantly limit their use. In addition, drug resistance was frequently observed after initial stabilization or regression of the disease.